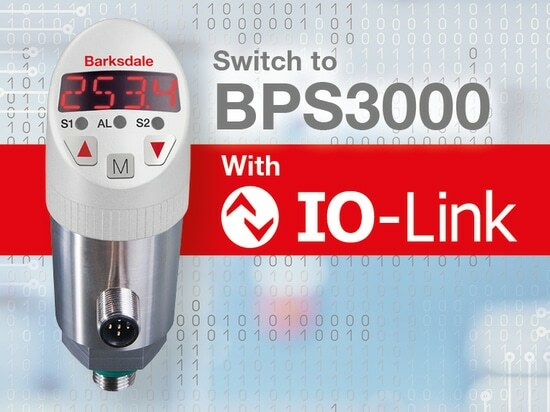 Barksdale, a leading manufacturer of industrial controls, is pleased to announce the first release of the Generation 3000 Series with IO-Link digital communication protocol: the BPS3000, an electronic dual pressure switch with a 4-digit display is now equipped with IO-Link protocol. 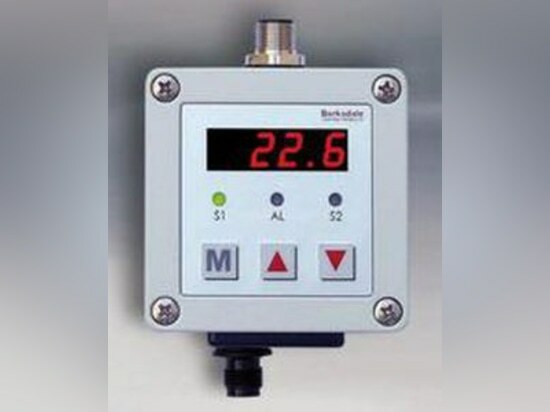 The BPS3000 is part of Barksdale’s Generation 3000 Series of electronic products that includes Pressure, Temperature and Level sensor technology. IO-Link is a bi-directional, digital, point-to-point serial communication protocol used to connect digital sensors and actuators to optimize industrial automated processes or operations. IO-Link technology corresponds to the international standard IEC 61131-9, and is globally recognized and used to exchange process data, service data and events data--unlocking data that can be used to ultimately optimize the operation of the IO-Link device. These smart devices identify and configure themselves automatically, they can predict repairs and maintenance concepts, and are easy to install requiring a standard 3-wire cable“. With a panel height of just under four inches, and a diameter well under two inches, the BPS3000 allows installation in compact locations. The IP67 class rated housing makes this unit suitable for the wettest of environments, and even full submersion. Pressure ranges are available from 0 to -1 bar up to 0 to 600 bar, with absolute pressure ranges up to 10 bar. Multiple process connections are offered as. Like the standard device, the IO-Link version also has UL/CSA approval and is therefore ideally suited for global use. 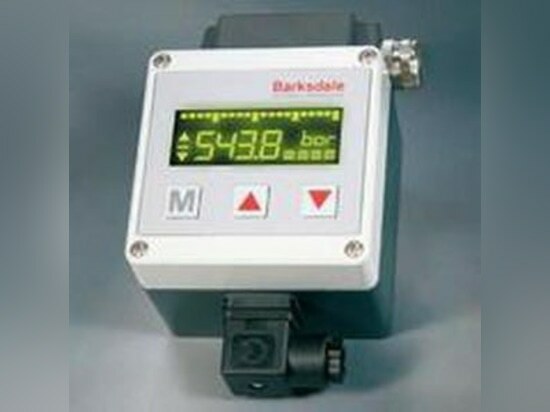 Founded in 1949, Barksdale Control Products, with offices in Los Angeles, CA and Reichelsheim, Germany and distributors around the world, is an ISO 9001:2015 registered manufacturer of mechanical and electronic controls for industrial applications, specializing in control and measurement of air, hydraulic fluid and gas media. Barksdale is a subsidiary of Crane Co., a diversified manufacturer of highly engineered industrial products. Crane Co. is traded on the New York Stock Exchange (NYSE: CR).